Served in the Army of Northern Virginia and later was general Provost-Marshal of the Army of the Tennesse. Ambrose Powell Hill was a professional soldier, an artilleryman from West Point (1847) who served the Confederacy in the infantry. After joining the army he jumped quickly from lieutenant to colonel of the 13th Virginia. He was at First Manassas, but spent the whole battle in reserve. He rose to command a brigade of Virginians at Williamsburg and Yorktown, the opening stages of the Peninsular Campaign. His performance earned him promotion to Major General (May 26, 1862) and command of a division in the battle at Hanover Court House. After the lull, while Lee took command, he fought brilliantly through the Seven Days Battles, then in Jackson's Corps at Cedar Mountain, Second Manassas, and the capture of Harper's Ferry. On the 17th of September he was busy clearing up the Union forces at Harper's Ferry, while McClellan was attacking Lee a few miles away at Antietam. Hill force-marched his division all day, arriving just as a Union attack was threatening to sweep through Lee's weak right flank. Hill's men had replaced their thread-bare grey coats with new blue ones; Burnside's men were also expecting reinforcements on their flank. Instead, Hill's men gave the Rebel yell and broke the Union charge. There was a bit more fighting, but Hill had saved the day. He was present, although not as effective, at Fredericksburg. He had been feuding with Jackson, which didn't make his position any easier. His division was in the third line of Jackson's flank march at Chancellorsville; they saw little action on May 2, but that night Hill was part of Jackson's scouting party. When Jackson was wounded Hill helped apply a tourniquet. He then took command of the Corps (he was senior division commander) but only momentarily before he was lightly wounded himself. Without Jackson, Lee revised his command structure. Hill became a Corps commander, of the new III Corps. 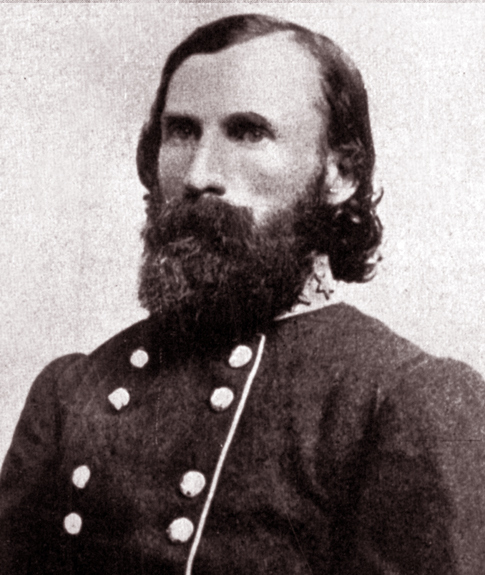 His subordinate, Henry Heth, nosed into Gettysburg and started the whole battle. Hill was unwell, and didn't perform well at the battle. The disaster at Bristoe Station can also be laid at his feet: he simply didn't perform as well as a Corps commander as he had as a division commander. He was in charge but not in command during The Wilderness ' Lee knew that Hill wasn't performing well, so he basically took over. He wasn't fully fit, and took sick leave, missing Spotsylvania. He got to wear his red battle shirt again at North Anna and Cold Harbor, the last battles of the Overland Campaign as Grant edged around Richmond. Hill was on-again, off-again during the siege of Petersburg, sometimes present, but sometimes unwell. He was shot in the heart by a Union straggler on April 2, 1865. He'd just been at a conference with Lee as the Union were breaking through the defenses west of Petersburg. As Hill rode out to try and bolster the southern forces he didn't realize how far the breakthrough had gone, and was dropped from his saddle.